Moth Marathon Saturday at Noon! You should also know that The Moth is coming to Burlington’s Flynn Center on Saturday, October 22nd! 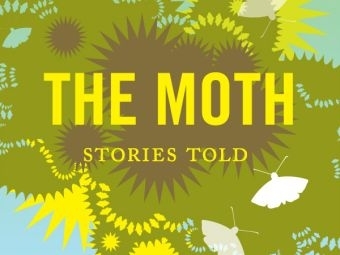 During this pledge drive VPR is giving away primo tickets to see The Moth live in Burlington. This package includes a pair of tickets, a two-night stay at the Lang House in Burlington, and dinner before the show at the Farmhouse Tap and Grill. If you’re a sustaining member of VPR, you’re already entered into all of VPR’s membership drive drawings. Burlington’s Flynn Center is experimenting with Tweet Seats, where audience members can live-tweet at concerts.